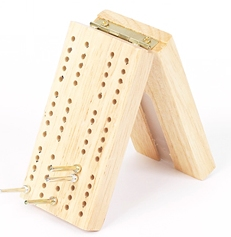 Cribbage Boards : Bello Games New York, INC.
Wood cribbage board complete with metal markers • Size: 3 1/2" X 3" (folded). 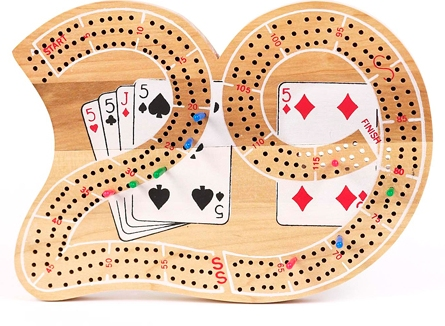 Wood cribbage board complete with markers • Size: 9 1/2 X 7 1/2". Wood cribbage board complete with markers • Size: 14 1/2" X 5". Wood cribbage board complete with markers • Size: 13 1/2" X 3 1/2". Wood cribbage board complete with markers • Size: 14" X 4".